Imagine: Wolverine-style claws implanted on your XXL paddle-shaped hands, beady eyes buried deep in your matted fur, and…22 fleshy pink tentacles surrounding your nostrils. Sounds creepy? Very. 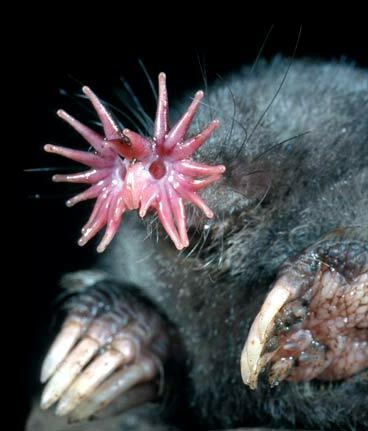 Just a day in the life of the Star-nosed Mole.